Providing opportunities for adults to experience life to the fullest. Like many adults, people with disabilities seek a work-life balance. We empower adults with disabilities to design the kind of life that they want to live. While the St. Louis Arc supports people to find volunteer and employment opportunities, we also provide access to recreational and social activities. 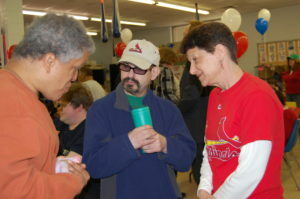 Our goal is for St. Louis Arc participants to be fully included and valued members of their community. Annual and seasonal classes and events for adults such as music, cooking, dances, art, and book clubs. Seasonal league sports for adults of all abilities like soccer, bowling, softball, golf, and basketball. Pre-employment training, job coaching, and job retention. 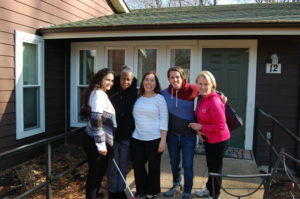 A program for adults to take part in a variety of volunteer and recreational activities throughout the St. Louis area. Quality support services in a variety of settings for adults with intellectual and developmental disabilities. Parents Learning Together (PLT) helps parents with developmental disabilities learn the skills necessary to safely and successfully raise their children.